We've completed two rounds of our Love Your Lake project and both were completely different experiences. Each time we run the program it's an opportunity for us to learn, grow and make the necessary changes to improve the program. We hope to keep this program going for years to come so we can teach yonger generations why Lake Ontario is such an important resource and needs to be protected! Our second season was a challenge with high water levels causing flooding, erosion, and landslides. Several of our cleanups were cancelled but we still got the job done! We were supported by the Great Lakes Guardian Community Fund and the Honda Canada Foundation. A total of 72,100 pieces of litter were picked up over 8 weeks. This was our first Love Your Lake project funded completely by the Great Lakes Guardian Community Fund. 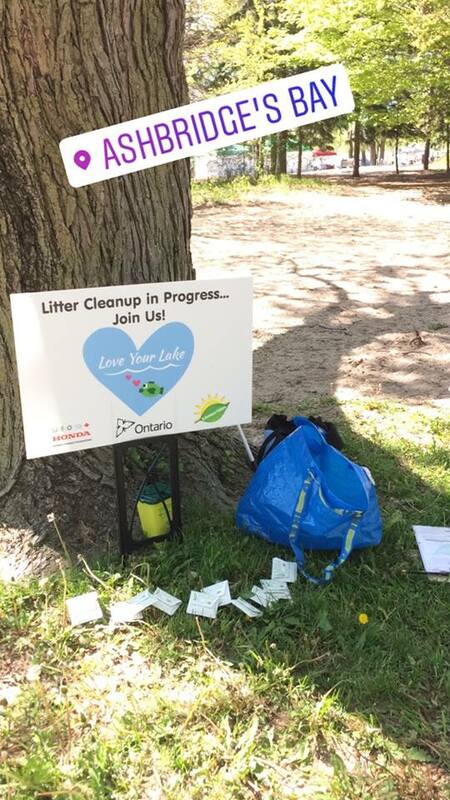 In total we picked up 75,692 pieces of litter from the shores of Lake Ontario over a period of 10 weeks. All 100 events were public which was a big challenge. We learned a lot about scheduling and event planning.